2015: To raise awareness of farmers about almond seed wasp and the low productivity problem. 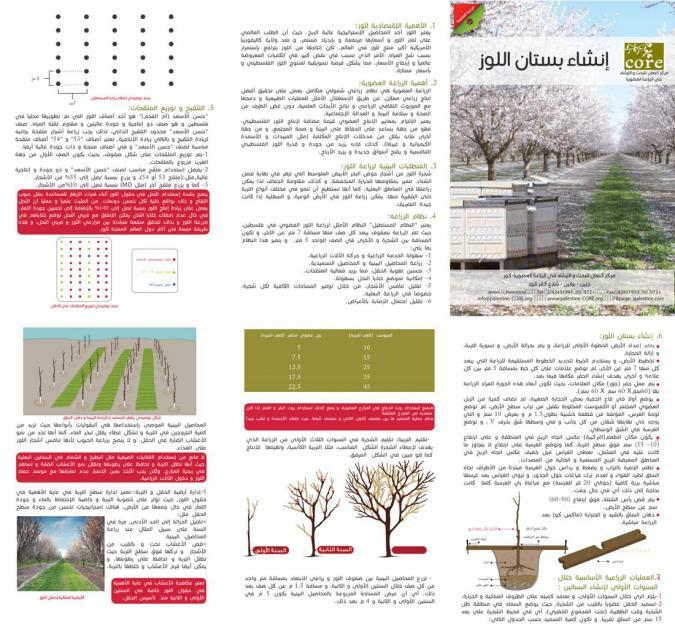 CORE published a leaflet about almond seed wasp pest and control methods throughout the implementation of "Protecting and developing almond cultivation in Palestine" project that was funded by Christian Aid. 2016: With a grant from Christian Aid, CORE committed to almond farmers to buy up their infected fruits on the ground from the previous season to dispose of them organically, without using pesticides. Here is the flyer explaining the program to almond farmers. 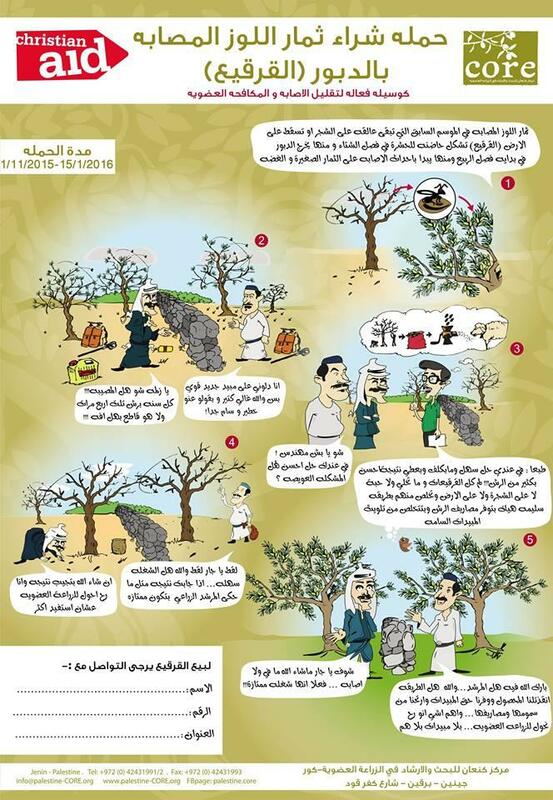 2016: During the first phase of "Developing Almond Crop by Improving Seedling Quality and Pollination" project which is funded by Ben and Jerry's Company, a leaflet of " Establishing New Almond Orchard" was produced and distributed to farmers, nursery owners, agricultural extension agents and other stakeholder during the almond planting season.